Underneath Bitcoin and Ethereum lie nearly 1,500 other cryptocurrencies (coinmarketcap.com) where unregulated dynamics play out, and fuel a challenge to the role of currency in our current societal structure. The Great and The Good of the cryptocurrency world sit on a flotilla of pluck, cynicism and chance. The tussle between new cryptocurrencies to be deemed shitcoin or altcoin is emblematic of a crypto-Wild West, where the forces of humour, irreverence, opportunism and dynamism coalesce. The resultant mass is not perceivable unless in contrast to the constituents which float to the surface, for however long, to either challenge the status quo, or be flushed and never seen again. 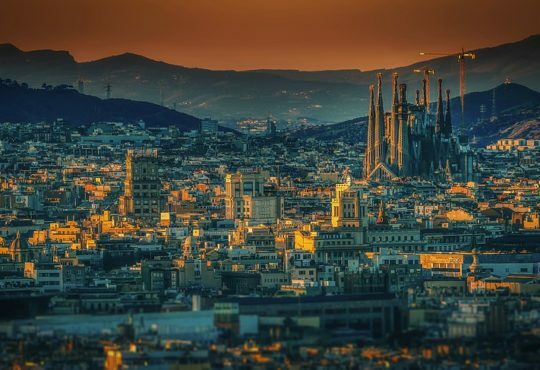 The cryptocurrency world is incredible tribal, and many die-hard Bitcoinistas consider all other cryptocurrencies to be shitcoins, rendering the term “altcoins” a little redundant. But beyond the Bitcoin loyalists things start to make a touch more sense. At the most lenient end of the spectrum shitcoins are the scam cryptocurrencies – the market is unregulated and has seen some coins ICO only to then disappear leaving the investors with nothing and the creators with all the proceeds. Something to watch out for. To take the circle of shitcoins out one step further one could also include those cryptocurrencies without the necessary security measures in place to defend against attacks, which again leaves investors with nothing. Though the difference between the the two aforementioned categories could be a distinction without a difference, depending on how conspiracy-minded one is. So if shitcoins are the ones that end in tears then all the cryptocurrencies between they and The Big Two can be considered altcoins. Though not quite. Some cryptocurrencies can just be efforts in marketing, like dogecoin, which don’t pose any new technology, utility or business model. One might call dogecoin a shitcoin because it’s a cryptocurrency whose efforts can’t really be considered sincere. 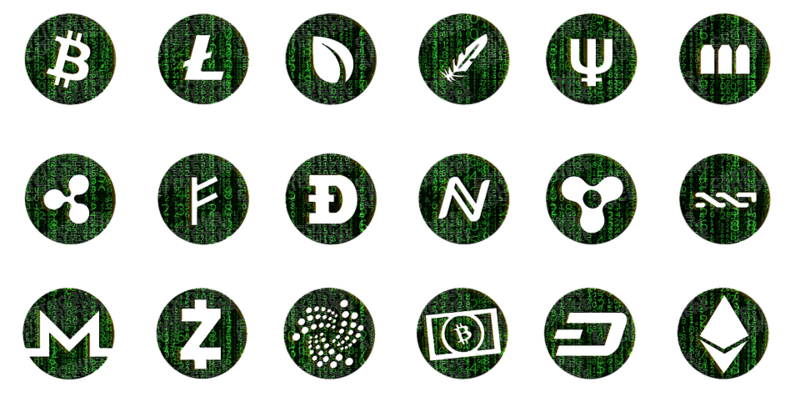 Added to which there are cryptocurrencies whose efforts are sincere, but not very good or well executed. Others can be turned into shitcoins by “pump and dump” buying patterns, forced by groups who get together to buy a cryptocurrency, causing others to pile in, they divest their stake once the price is inflated causing the price to collapse. This can ruin a crytocurrencies reputation, though partly because already-weak cryptocurrencies are selected as prey; doubtless many who live more deeply in this world hold a romanticism of the wild west feel such wanton behaviour is emblematic of. In essence, if someone calls something a shitcoin all it really tells you is that they don’t think it’s a cryptocurrency worth investing in, but they might fall anywhere on a spectrum of cryptocurrency ideology and/or analysis. There are entire chat threads devoted to discussion of what shitcoins are. For the purposes of this article it’s easiest to consider altcoins to be any whose endeavours are sincere, if not well conceived or well executed. This is the area where plenty of interesting developments are arising. Most altcoins begin by ‘forking’ litecoin and tweaking the way the code works. Forking is simply taking the existing code of a given cryptocurrency and applying it in a different way. It’s common in the industry since it’s relatively easy, certainly in comparison to writing your own cryptocurrency from scratch. But the reason all-but-Bitcoin being considered shitcoin doesn’t hang together, and the reason why it mustn’t, is betrayed by one simple fact: Ethereum was once small enough to be considered a shitcoin, yet it now offers a profound technological advantage to any other cryptocurrencies. Tribal tussling between various cryptotraders will probably always continue, but it’s useful to view the altcoin world as one big experiment. Many altcoins may not offer any technical innovation which Bitcoin could not itself incorporate. But even so, it’s not easy to get the entire Bitcoin community to agreement on what to update. And whether the innovations are viable for the larger cryptocurrencies or not, altcoins act as a testing ground. “Read the whitepaper” is a common trope among cryptocurrency investors, though these will often be dripping with self-indulgent jargon and information, and fall short of really imparting any of the crucial information in a succinct way. But whether you want advanced checkpoints (Feathercoin), a decentralised DNS system (Namecoin), I2P and TOR (Anoncoin), an esoteric prime number chain (Primecoin), or censorship-free data storage (Datacoin), their are genuine alternatives to the established modus operandi available. I leave you with the other, more trivial, upside of the world of altcoins and shitcoins. Bernakoin is one of the most elegant jokecoins. 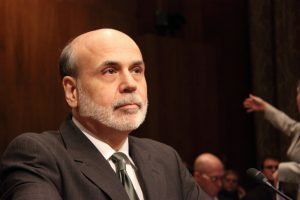 It takes its name from Ben Bernanke who served as Chairman of the Federal Reserve during the ’07/’08 financial collapse. It re-imagines the reward system of cryptocurrencies and calls it “Quantitative Easing”, and “prints” more and more coins as time goes on in order to get round the built-in flaw that the currency is overly-malleable. Its uniqueness is worthless, and it’s worthlessness skewers both the world of cryptocurrencies (“everything is a scam. EVERYTHING” says one chatroom user) and the idea of currencies more generally. So when Jamie Dimon, CEO of JP Morgan Chase, says that people who buy Bitcoin are ‘stupid’ – well, sir, the value of your dollars is no longer tied to gold so, fundamentally, what’s the difference?